No need for the disclaimer, lady. I hear ya! Independent cafés are so special. Starbucks, though comforting in familiarity, is not. And the coffee just doesn't measure up! I'm very much a fan of the independent cafes as well. 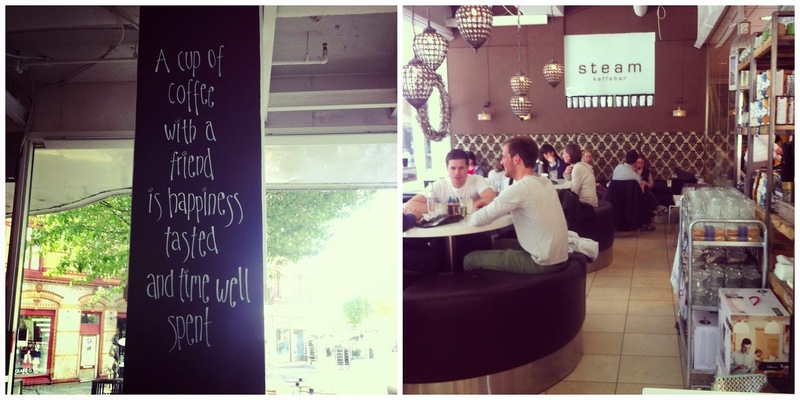 Starbucks opened up quite a lot of stores in Melbourne but didn't really survive our cafe culture. There's now just a few at the tourist hotspots. I like stumbling accross sweet little cafes and I won't lie, I'm often researching where the best cafes are in towns before I head there. Often review barista competition entries can help. Whilst I've never understood the starbucks draw (other than to use their toilets when travelling), I'm guessing it's the familiarity that draws people in. Living in a town rampant with independent coffee shops (and roasters), I've come to appreciate the place of both the small cafe and the Starbucks. Some of the snobbier cafes don't carry my holiday favorite, eggnog latte. But Starbucks doesn't carry my indie favorite, cardamom latte. Some roasters in town are better than others, so I often take my pic based on the roaster (I'm lucky, I know, but living here has also developed my palette for coffee). There are perks to both types, but I see what you're saying. I don't go to Starbucks for the atmosphere. im such a sucker for a good and quirky cafe. when i travel, i honestly spend much of my time in random cafes. and in oslo, i spend a good chunk of my time in them with friends or while working on freelancing assignments. im not a huge coffee drinker (single shot latte right here haha), but i just love the atmosphere of a quiet and cozy cafe. 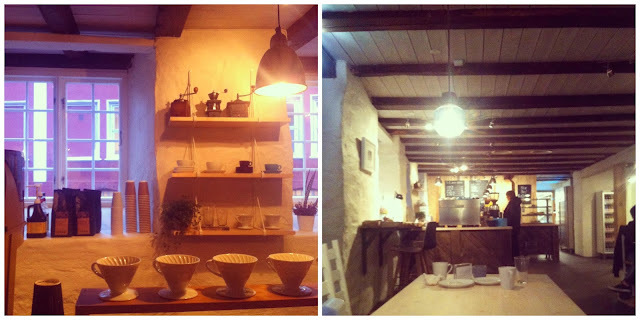 we have some GREAT ones in oslo and it is constantly ranked as one of the best cities in the world for cafe culture. not a starbucks fan, but will have something there while traveling in airports here and there. i havent visited any of the new locations in oslo and probably wont. while i have no issues with their coffee per say, it's just not my scene most of the time (because im usually at cafes lounging and hanging around for a few hours). when starbucks first came to oslo, people were so skeptical that it would drive business away from other cafes...but i dont think this has happened at all and never suspected it would. the people going to starbucks tend to be people grabbing a quick cup of coffee or tweens. seriously LOL. the teenagers of oslo never really bought much coffee at local cafes but now want to be seen with that starbucks cup in their hand, so will buy it there. oh yea, and tourists. but the starbucks of oslo are not currently in touristy areas, actually (sure they are coming though...like starbucks can resist that ha). one is in a mall and one is on a shopping street. i think the starbucks norwegian market is mainly focused towards those who are looking for a quick cup of joe while shopping or something. they dont really focus a target on true cafe goers. nevertheless, im sure i wont be seen in there anytime soon. I love that! There is something to be said about searching out those independent coffee shops! i used to live in barcelona and i would never go to starbucks, since i had so many other small businesses with incredible red velvet cakes and comfortable communal wood tables. i just recently moved to the outskirts of washington, dc and because there is none of that, i find myself ordering white mochas more and more often. i don't hate starbucks, it's an incredible company, but i just love the tiny coffee shops to meet up with friends after dinner on stressful study weeks or have a quick breakfast with a friend before they leave for vacation. so interesting!! when i was in college i was always going to independant grand rapids coffee houses and started to not appreciate starbucks as much. but here in luzern i treat myself to it and it reminds me of home!! but actually, i like nescafe, haha!